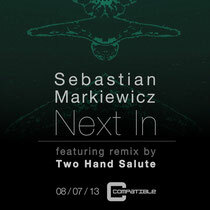 Sebastian Markiewicz returns to his Compatible Music imprint this July with ‘Next In’, backed with a remix from Bedrock artists Two Hand Salute. 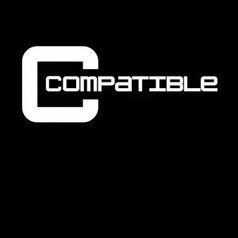 Compatible Music was launched by Sebastian Markiewicz as a platform for him to release his own music, the label’s now four releases deep, and has already seen support from the likes of Catz’ N Dogz, Markus Homm, Halo, Audiofly and Moodymanc. The release opens with the original mix of ‘Next in’, a raw, gritty house number employing bubbling percussion, rounded subby tones and fluttering vocal chops as its driving force. Markiewicz has a knack for composing ever-evolving, dubbed out cuts, this is once again displayed here through this eight and a half minute slow bloomer. Bedrock duo, Two Hand Salute, turn in a mix of ‘Next In’ on the B-side, taking on a more stripped, sparse format, with punchy digital drums, swirling reverberated atmospherics and tension building string melodies. The mix embodies the same dark aesthetic as the original yet has an enticing contrast the original, with its intelligent, understated approach. It’s out today.